It is commonly believed that women’s entry into the political realm is a recent phenomenon. 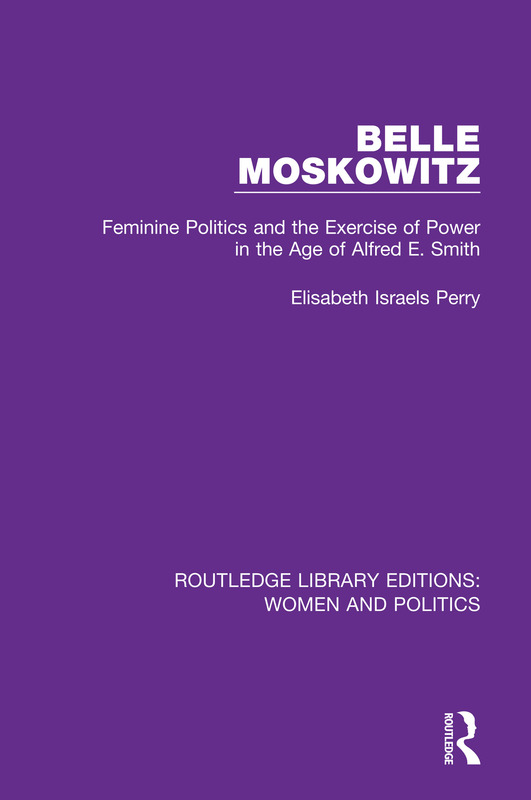 Originally published in 1992, Belle Moskowitz shatters that myth, restoring to history the career of a remarkable woman who achieved unprecedented influence and power in American politics many decades before the contemporary era. As political advisor to Alfred E. Smith, four-term governor of New York and presidential candidate. Moskowitz played a crucial role in both state and national politics throughout the 1920s. Elisabeth Israels Perry, who is Moskowitz’s granddaughter, has thoroughly searched through private and public records to document Moskowitz’s career, drawing as well on the reminiscences of Moskowitz’s daughter Miriam Israels Gabo. This outstanding biography was co-winner of the New York State Historical Association Manuscript Prize in 1987.